Sam Tabet is a Brooklyn based creative producer and cinematographer. Sam produced Southwest of Salem: The Story of the San Antonio Four (Tribeca Film Festival, HotDocs, IDFA 2016) which had its television premiere on Investigation Discovery to one million viewers this fall. The critically acclaimed film helped exonerate the 'San Antonio Four'. 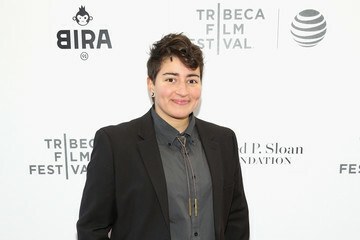 Sam was also the assistant producer for award-winning feature documentary Call Me Kuchu (Berlin Film Festival, HotDocs 2012) and produced SIGNIFIED, a multi-media archive of LGBTQ testimony featuring the work of queer artists and activists. Sam previously worked at Chicken & Egg Pictures, NewFest and American Documentary, POV, and hold a B.A. from Connecticut College in Film and Gender studies. Sam is a founder of the Queer Producers Collective.